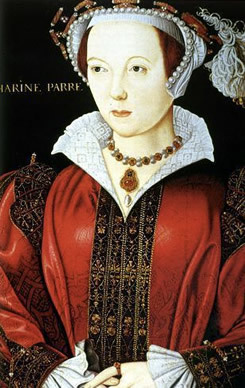 Katherine Parr, the sixth and final consort of Henry VIII, was the wife who, in the old rhyme about Henry’s queens, “survived.” The general perception of her is that she was a matronly lady who appealed to the elderly monarch because of her nursing skills, experience as a stepmother and blameless past. Who better to succeed the teenage strumpet, Katherine Howard, than this worthy provincial widow? Who indeed – for the real Katherine Parr was an attractive, passionate, ambitious and highly intelligent woman and her influence over Henry and his children, coupled with a keen interest in religious reform, helped shaped the future of England. She was only thirty years old at the time of her marriage to Henry in 1543 – younger than Anne Boleyn had been – and deeply in love with another man. A king, however, could not be refused, and the family and personal benefits of becoming queen of England were there for the taking. Twice-widowed, held hostage in Yorkshire during the Pilgrimage of Grace, her life had been dramatic even before she became queen. It would remain so after the king’s death, when she hastily and secretly married her old flame, the rakish Sir Thomas Seymour. Katherine died shortly after giving birth to her only child in the late summer of 1548, her brief happiness undermined by the very public flirtation of her husband and her stepdaughter, Princess Elizabeth. The book reveals the truth about Katherine Parr, establishing her as a leading figure among the female rulers of her time. The child of courtiers who had served the Yorkists and the Tudors, she was well-equipped, by education and birth, to sit at Henry’s side. Her success as queen and stepmother was very important for the royal children. She helped restore Mary and Elizabeth to the succession and gave direction to the education of Edward. As regent of a country at war in 1544, she was able and energetic. But she also well aware that she was Henry’s wife. Indulging her love of fine clothes, jewels, music and the arts, she also made sure that her bedchamber was an enticing place for her husband and that she stayed close to him. At the same time, the intellectual side of Katherine Parr found its outlet in religious writings – she was the first queen of England to be published – an activity that Henry did not appreciate. His irritation, combined with increasing ill-health and the political machinations of Katherine’s opponents, threatened her life in 1546. She survived but Henry did not nominate her as regent for Edward VI. Disappointed, but, equally, liberated, she turned again to Thomas Seymour, becoming his mistress within weeks of Henry’s death. Seymour, a charismatic if disreputable charmer, was a difficult husband. But he has been so vilified by history that his reputation merits re-examination. Four times a wife, caring stepmother, an avid patron of portrait painting and Venetian singers,celebrated author, the red-headed and feisty Katherine Parr was the most able and endearing of all the wives of Henry VIII. Set amidst the lusts, intrigue and violence of a turbulent age, this book is the first serious but readable life of Henry’s last queen. "...a reliable synthesis of the best historical research on Katherine’s life and times, while periodically going beyond it to offer original contributions…valuable and persuasive…an admirable facility for memorable one-liners." "Porter’s account of Katherine’s life is colourful and well paced…those who enjoy Tudor history will agree with Porter’s assessment that Katherine’s was indeed a remarkable life." "Rich, perceptive, nuanced and creative, this first full-scale biography gives one of Britain's best but least-known queens her due." "The result is a well-documented, compelling story filled with the intrigue and drama one has come to expect of the time period… This is the stuff of a cable miniseries, but Porter tempers the narrative with Katherine's accomplishments, creating a balanced, satisfying read." 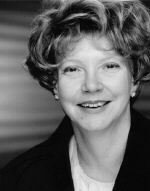 "…fluent and engaging…Katherine’s life is undoubtedly a fascinating one and Porter tells it with relish. The book is as fast-moving and plot-driven as a novel…"
"Missing The Tudors TV show? The story continues in this biography of Henry V111's sixth wife, Katherine Parr." "Linda Porter has done a marvellous job...she evokes the whole terrifying and exciting world of the Tudor courts, packed with intrigue and danger."